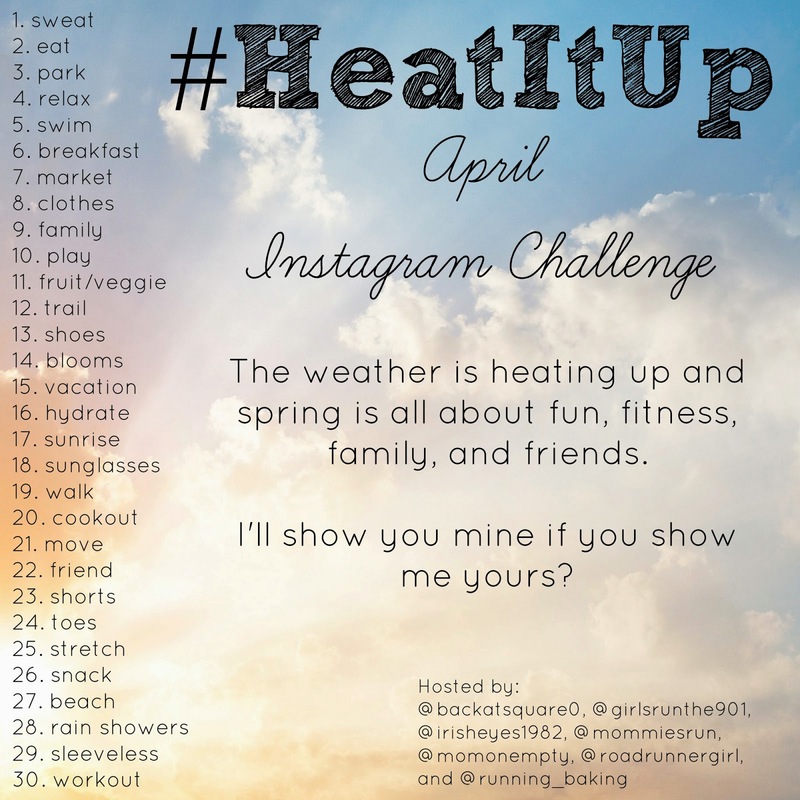 Road Runner Girl: #HeatItUp April Instagram Photo Challenge! Do you like to take pictures? I know I do! And Instagram makes it so easy and so much fun! Now that Springtime is here, there are so many things to take pictures of! That's why the girls of #HotMessExpress (that hashtag was born the weekend of Rock 'n' Roll New Orleans) are bringing you an April Instagram Photo Challenge called #HeatItUp! How do you play? It's easy! Take a photo using the prompt for the day as your inspiration. For example, for day 1's prompt "sweat" you can expect to see a photo of a sweaty me after a run! Please be sure to check out the blogs of the awesome ladies that are hosting this challenge with me! QOTD: Are you in? What's your favorite prompt of the challenge?